It’s deal of the week time! AND it’s 5 days until Christmas. So to celebrate this Christmas Eve Eve Eve Eve we decided to offer up something really great. 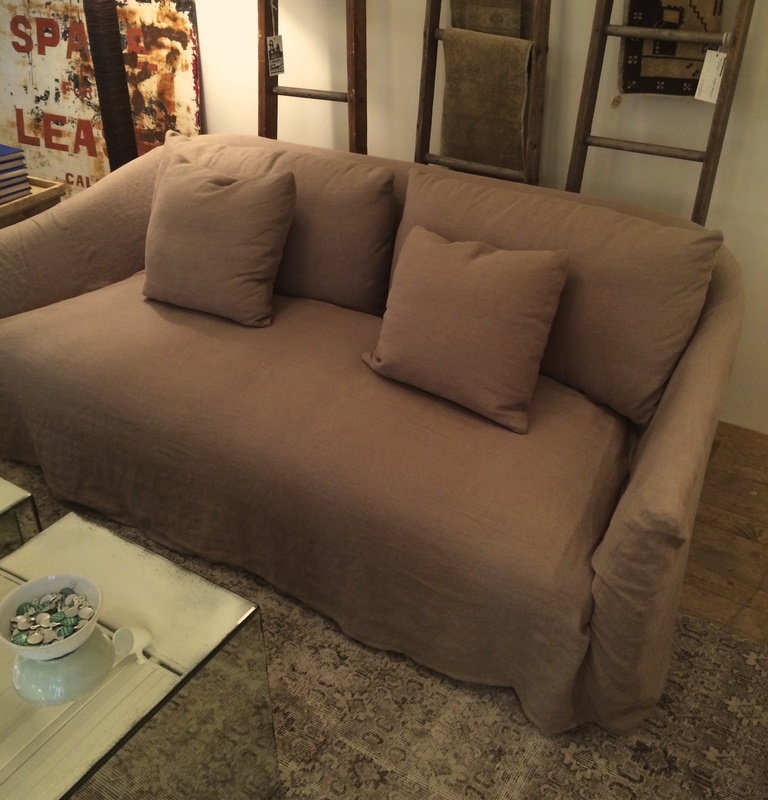 Now, we don’t often have a sofa as a deal of the week. This is highly unusual. If we do, it’s often something we are bored with or that might have a bit of a blemish, but not this time. This is a great sofa. This sofa is called the “Fluffy Duffy”. Please don’t ask why, I really don’t know – the fluffy part is obvious, because this is a super soft squishy sink-into-it kind of a sofa. But as for the Duffy part – no clue. 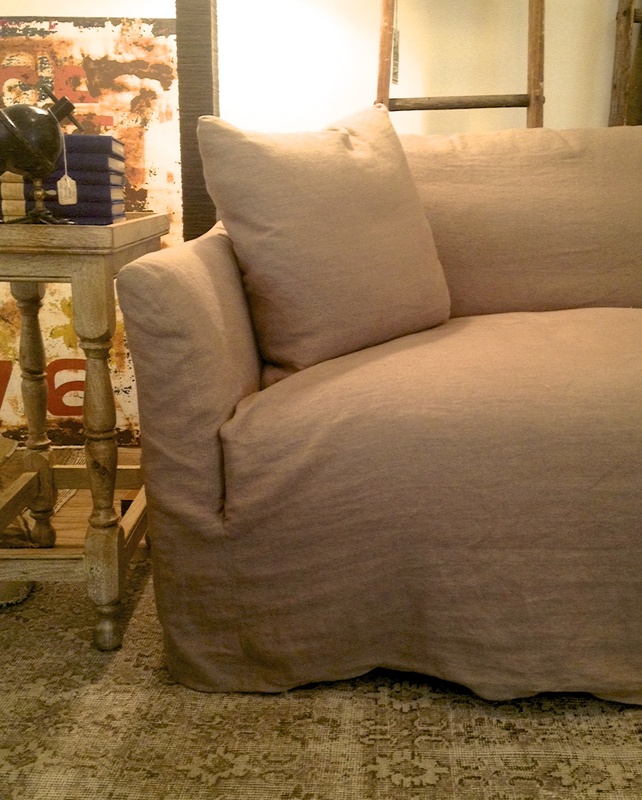 Now for the details – it’s slipcovered in an amazing soft neutral linen. Not the washable kind of linen, but definitely the dry-cleanable kind. I’ve already touched on the fluffiness, which is due to a down alternative fill in the attached bench seat – it’s pretty amazing. The kind of amazing that once you’ve sat down you really don’t want to get back up. A bench style seat means just one cushion, one long cushion – this one being built into the sofa itself – so no cushion flipping! It has two long back cushions and two throw pillows. It’s good. 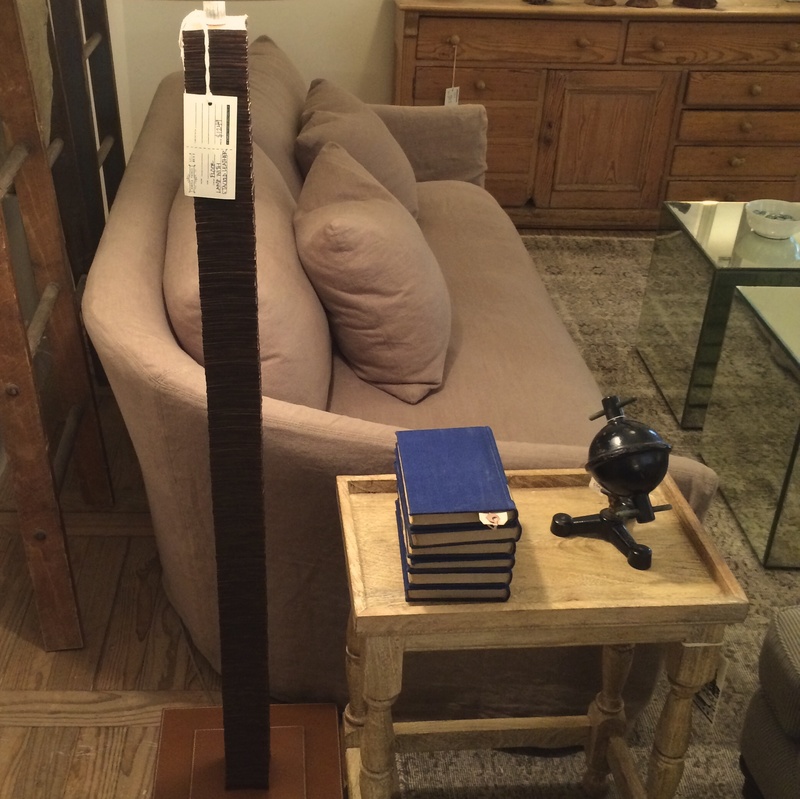 original price – $3340 sale price – $850!!!! I purchased the sofa referenced below from your store. I am thinking about having another slipcover made in Bruno Smoke. Can you give me a quote on the price for it? I appreciate your help. Sorry, I just saw your question. i will email you a quote right away.